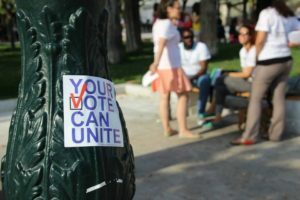 Your Vote Can Unite was a Paneuropean campaign to raise awareness to European voters regarding the rising danger of far right parties and politics after the European elections of 2014. 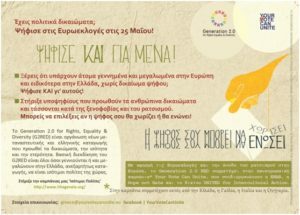 Generation 2.0 for Rights, Equality & Diversity was the national coordinator of this campaign in Greece, which was really important, given the fact that a lot of our members did not have the right to vote. With constant awareness events in the streets of Athens, G2RED asked the residents to not abstain and give an antiracist vote, keeping in mind all these second generation immigrants who do not have the right to vote for themselves. 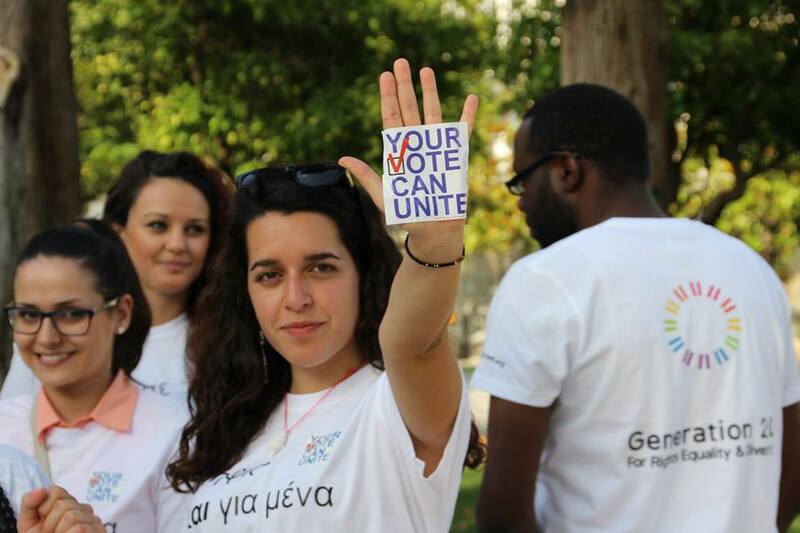 Your Vote Can Unite was co-organized with ENAR, the biggest European network against racism, the European anti-racist organization Hope not Hate and the network UNITED for Intercultural Action.